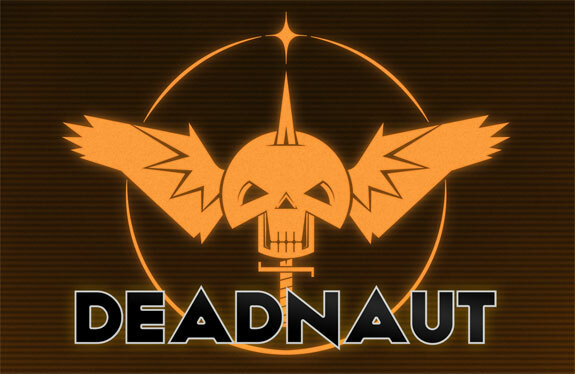 Due out in October for Windows, Mac and Linux, Deadnaut is a game set in a future where humanity finally makes it to the stars, only to discover it’s the only civilisation left. Everyone else was wiped out long ago and it’s up to you and your team of five guns-for-hire to figure out what happened. 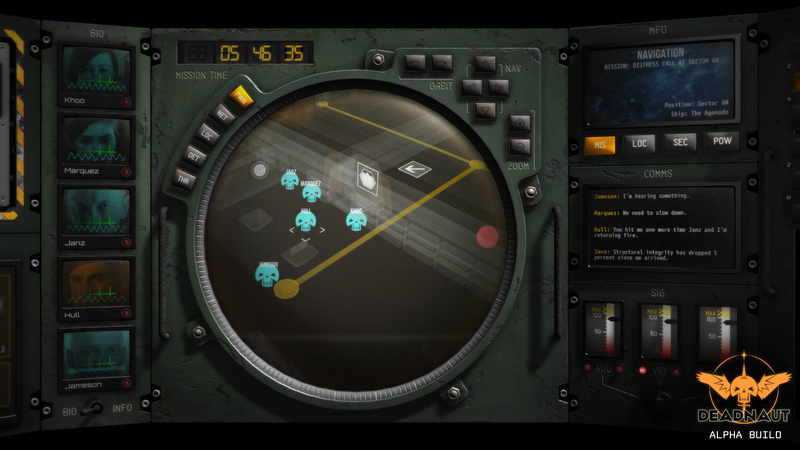 Along with a refined and improved relationship system, like that seen in Zafehouse, Deadnaut introduces the concept of stability, where the mental state of your characters requires monitoring as they delve into increasingly more terrifying and disturbing mysteries. If a character doesn’t like confined spaces, they’ll react negatively if left in a small corridor, while someone unsettled by death will have a hard time moving through a derelict starship full of corpses. For each mystery, you’ll need to explore the husks of long-dead shuttles, freighters and other craft, reading procedurally-generated crew logs, fighting (or hiding) from aggressive aliens — mutants, experiments-gone-wrong and even Lovecraft-inspired horrors — and hacking consoles while evading Watchers, the emotionless AIs that protect most ships. 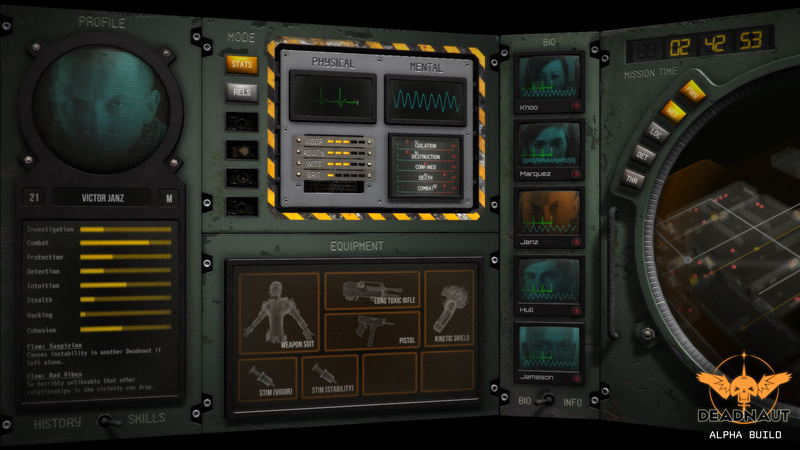 Of course, you’ll be able to create your own Deadnauts, importing pictures of friends, crafting their back-stories and defining their relationships with other crew members. If you just want to jump in and play, the game will generate a batch of capable, yet challenging miscreants for you to deal with. If you’d like to see more screenshots, be sure to head over to the teaser site and if you have any questions or comments, hit up the Deadnaut section on our forums. For news and updates, follow us on Twitter! ~ by Logan on August 17, 2014.